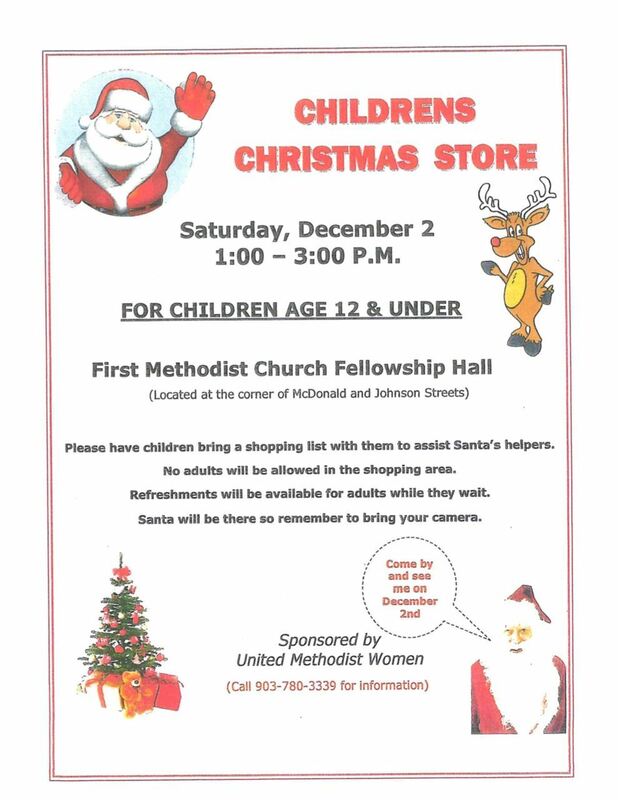 First United Methodist Church will be hosting a Children's Christmas Store on Saturday, December 2nd from 1:00pm to 3:00pm at the First Methodist Church Fellowship Hall. This event is for children 12 and under only. Santa will be there so remember to bring your camera! For more information call 903-780-3339.